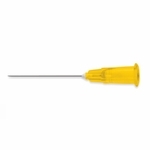 Easy Touch Hypodermic Needles are designed and manufactured with the highest quality levels possible to give you a more comfortable injection experience. They are latex free. 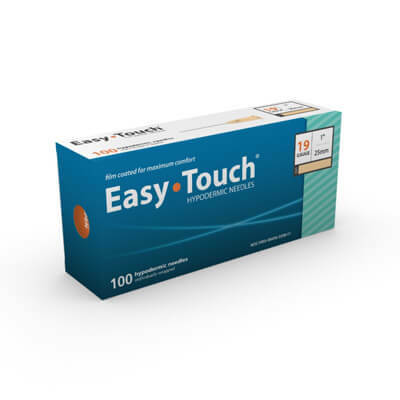 Easy Touch Hypodermic Needles come in a box of 100 hypodermic needles individually wrapped. They fit all standard luer lock and slip fit syringe barrels and offer tried and true safety technology. The Barrel is not included with these needles. Use once destroy and contain.